I’ve neglected my cravings for these mean green monsters too much. Some months ago I used to make one everyday. I miss that, so let’s get started again. 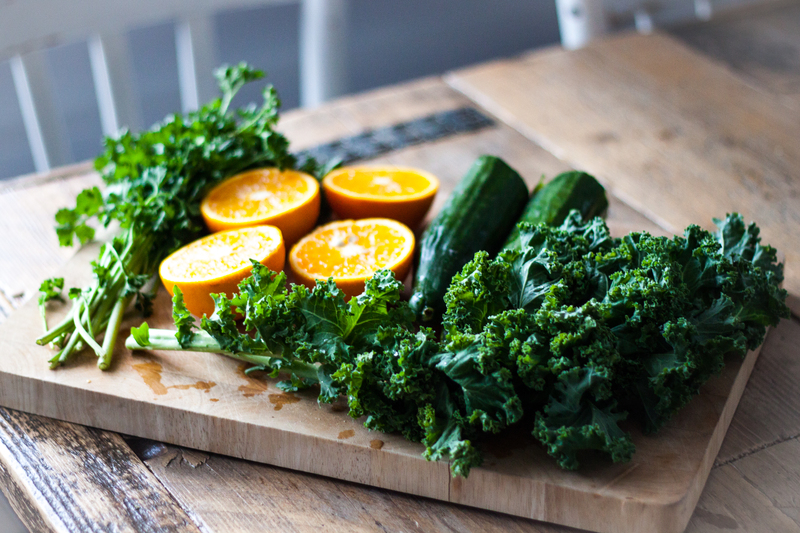 And, one very important ingredient is back… kale! Perfect for juicing and it has a lot of benefits. Learn more about that with this handy infographic on Pinterest. 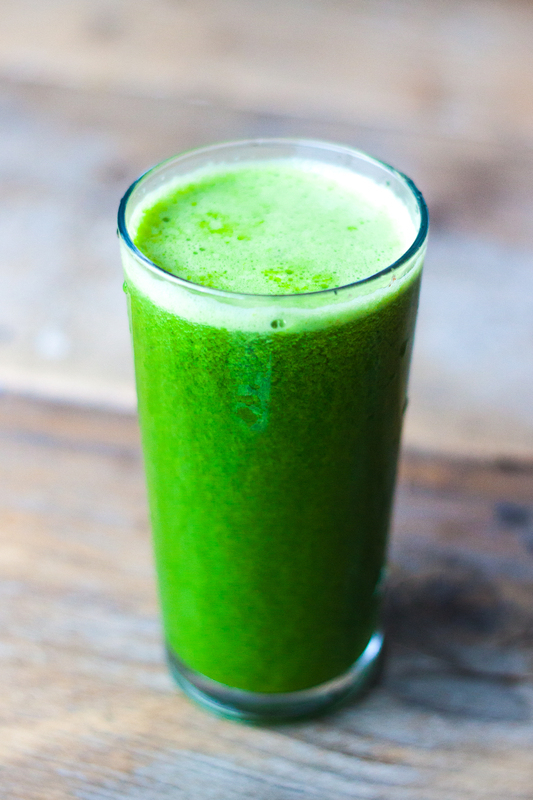 Put everything in your (slow)juicer and enjoy this fresh green juice. I added 1 tbs of wheatgrass powder to make it extra healthy.